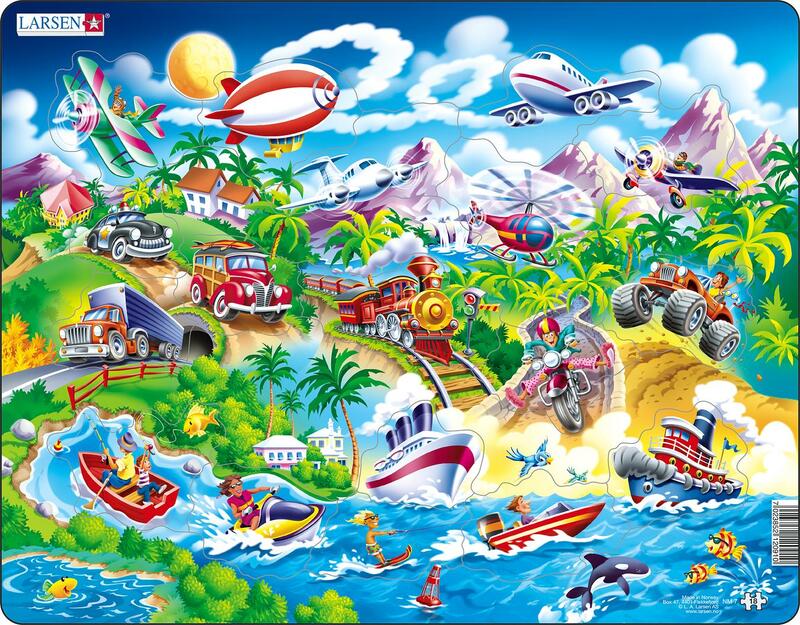 A fun puzzle depicting different modes of transportation; including cars; boats; planes; blimps; and more! The puzzle has 3 rows of pieces with 5 pieces in each row. For children who have not yet developed the motoric precision in their hands; each piece lies steadily within its own frame. Thus the children can place each piece without bumping into and moving the neighboring pieces away from their places.